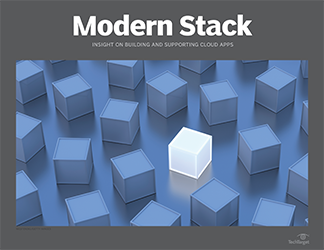 Enterprises that build microservices with traditional development tools and practices can run into problems in configuration and dependency management. A survey of tech professionals identified which IT skills are most in demand. Find out how salaries compare from region to region, and how expertise affects compensation. Provisioning large numbers of servers takes time. One of infrastructure as code's benefits is that once you declare a desired state, code maintains that environment with ease. Hyperscale cloud providers grew incredibly fast and created a whole new way of doing business. That's great, but it's also a problem that needs fixing. Technologists need to know people as well as they know their craft. Applying emotional intelligence in the workplace helps convey ideas and change organizations. Some organizations take their time with new technologies to let first adopters suffer the growing pains. But there's no treading water in the big data stream; the current won't wait.